Probably, a lot of us are not well aware of the new amazing tool called Fl!p by Samsung. 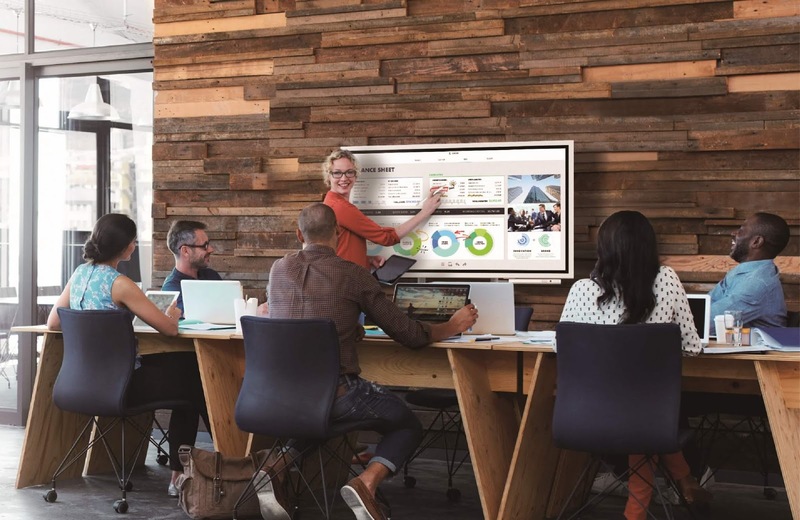 Once again, the tech giant Samsung has created not only a helpful big tool but an advanced kind that fosters collaboration, imagination and productivity. 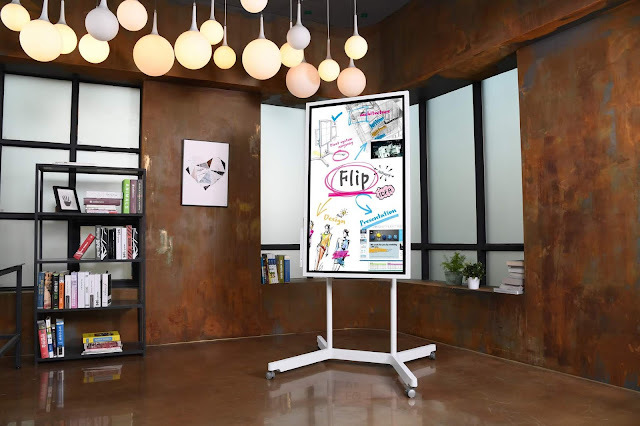 Samsung presents an ingenious solution in the Fl!p, an interactive display board that takes elements from the paper flip chart and analog board to generate game-changing ideas through digital transformation. 1. It converts any space into a meeting room. With its wheel-based stand, the Fl!p can be brought wherever you want to hold your quick meetings: in front of a colleague’s station, the office lounge, or even in the pantry. This works best for businesses and teams that do not have the luxury of large spaces. 2. It showcases your ideas in the best way possible. Combining Ultra High Definition (UHD) visuals with its 55” screen, the Fl!p ensures that your presentations, notes, and contents are flashed on the screen in crisp and vivid color. You can also adjust the device’s screen angle and orientation depending on your meeting’s visual needs. 3. It loves to work with groups. The Samsung Fl!p’s screen responds to multiple touchpoints, allowing up to four people to annotate. You can scribble on it at the same time, using the dual-sided pen. With over 20 “pages” to write on, no idea from your team will be left behind. 4. It connects effortlessly to compatible devices. Compatible smartphones and laptops can sync with the Fl!p via USB/HDMI cables or wireless communication. You can use the display board as an extended monitor for your personal devices, giving you more control over your presentations. 5. It makes file sharing and storage easy. Got an important screenshot on your phone that you want to include in the group discussion? The Fl!p allows you to incorporate personally-stored content from your device on to the board with ease. It securely stores data within an 8GB central database and allows you to protect your notes with a password. When it’s time to end the meeting and share your minutes, you can simply download and share content through email, save notes on a USB device, or print. Learn more about how the Samsung Fl!p upgrades collaboration for creative results and increased productivity by visiting Samsung’s Facebook page, or logging on to samsung.com/ph.